Desert Jet frequents quite a few Canadian airports that are ports of entry, including Vancouver, Victoria, Kelowna, Calgary, Edmonton, Winnipeg, Toronto, Montreal and Halifax. Private jet arrivals into Canada are a simple process. Desert Jet’s operations department prepares all of the border crossing documents prior to departure, so the arrival is usually very easy. Our charter coordinator will ask for your Passport number, as well as its expiration date, your birth date, and your planned length of stay in Canada. This information is passed on to Canadian Customs to ease the process as we arrive. Then, just prior to departure, the Captain makes a general declaration to a Canadian Customs Officer where they make sure we are not carrying fire arms, alcohol or other contraband, as well as insuring we are not transporting cash or other financial instruments worth more than $10,000. On rare occasions, the aircraft are met by Customs Officers at the airport’s customs office. More often, the aircraft are cleared immediately upon landing and are directed to taxi directly to the FBO, or Fixed Base Operator (a long-used term to describe a General Aviation passenger terminal). There, passengers are able to meet their ground transportation and be on their way without delays. Vancouver (IATA: YVR, ICAO: CYVR) Vancouver airport is just south of the city in the town of Richmond. All of the general aviation facilities are on the south side of the field, near the seaplane terminal. All of the facilities have rental cars as well as limousines available and are open 24 hours. The city was home to the 2010 Winter Olympics, and you will drive past the Olympic Speed Skating Arena as you drive away from the airport. Downtown Vancouver wraps around the beautiful natural harbor that is a very busy port. Sea-faring ships and seaplanes arrive and depart almost constantly. Stanley Park is a beautiful retreat on the harbor shore to the west of town, and at 9:00 in the evening, a cannon is fired. Quite startling if you aren’t expecting it! Well known for its restaurants, culture and nightlife, as well as the “Highway to the Sky” that takes you to the Olympic Village and ski resorts of Whistler, Vancouver is a favorite destination. Victoria (IATA: YYJ, ICAO: CYYJ) just west of Vancouver, across the Straits of San Juan de Fuca, lies the island of Victoria. What was an island with a rich history and fishing industry, is now quite the tourist attraction. 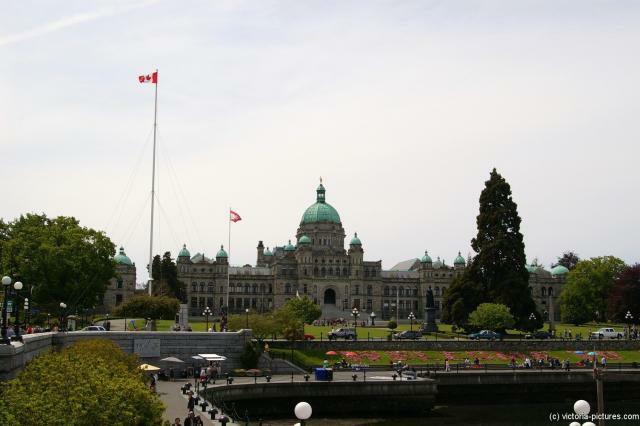 The city of Victoria is the capitol of British Columbia, and is perched on the island 62 miles away from the Canadian mainland. Known as the “City of Gardens”, Victoria is an attractive city and a popular tourism destination with a thriving technology sector that has risen to be its largest revenue-generating private industry. 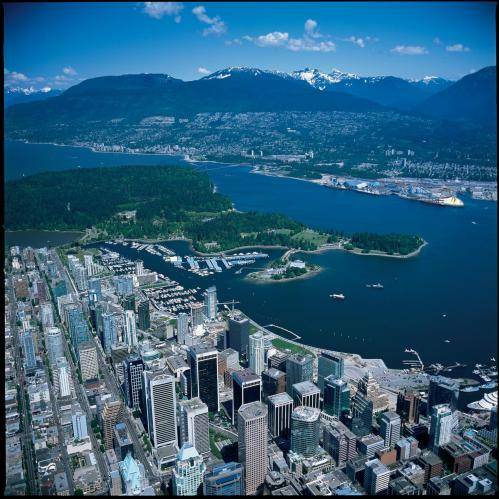 The city has a large non-local student population, who come to attend the University of Victoria, Camosun College, Royal Roads University, the Sooke Schools International Program and the Canadian College of Performing Arts. Victoria is also popular with retirees, who come to enjoy the temperate and usually snow-free climate of the area as well as the usually relaxed pace of the city. Don’t be surprised to see a number of seaplanes in the harbor next to the airport while landing. The city is also famous for its narrow streets that remind visitors of old England. Victoria is just over 2 hours away from the Palm Springs area in Desert Jet’s private Cessna Citations. Nice to know since there is no direct airline service to Victoria. Kelowna (IATA: YLW, ICAO: CYLW) Situated just northeast of Vancouver, Kelowna is little-known gem in the Canadian Rockies. Situated on the shore of Okanagan Lake, the city is a favorite of Canadians and international visitors. The word “Kelowna” translates from the Okanagan Indian language as “Grizzly Bear”. Summers provide a perfect backdrop for cycling, water-skiing, golf and hiking. Winters highlight two local ski resorts, Big White and Silver Star, that feature alpine and cross-country skiing. 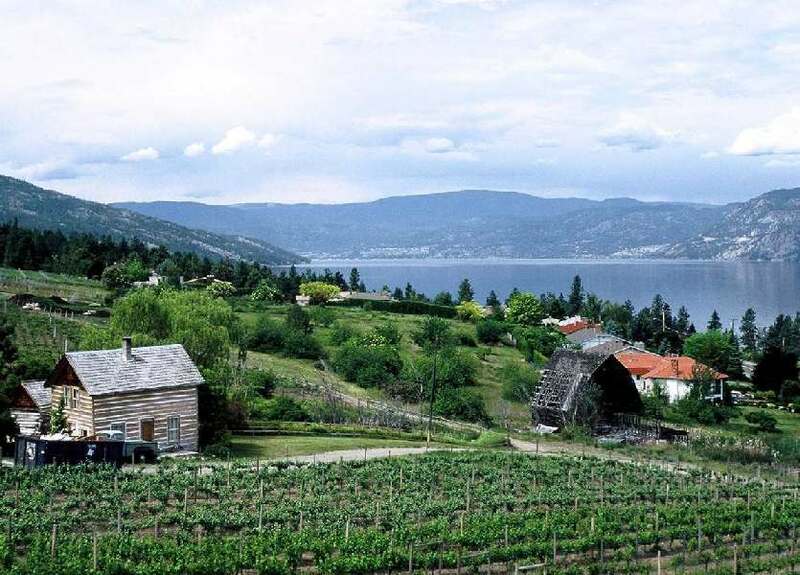 The vineyards of the Okanagan Valley have produced internationally recognized wines, earning the region the nickname of “Canada’s Napa Valley”. Kelowna is the third largest city in British Columbia, behind Vancouver and Victoria and has the distinction of being fourth on the list of “least-affordable” cities in Canada. Be on the look-out for Ogopogo, the mythical monster, in the same vein as Nessie from Lock Ness, who is rumored to live in the depths Lake Okanagan. Kelowna airport is just north of downtown and is just 2 hours and 40 minutes non-stop, from your winter home in the Palm Springs area, in one of Desert Jet’s Citations. There are no non-stop airline options between Kelowna and Palm Springs. 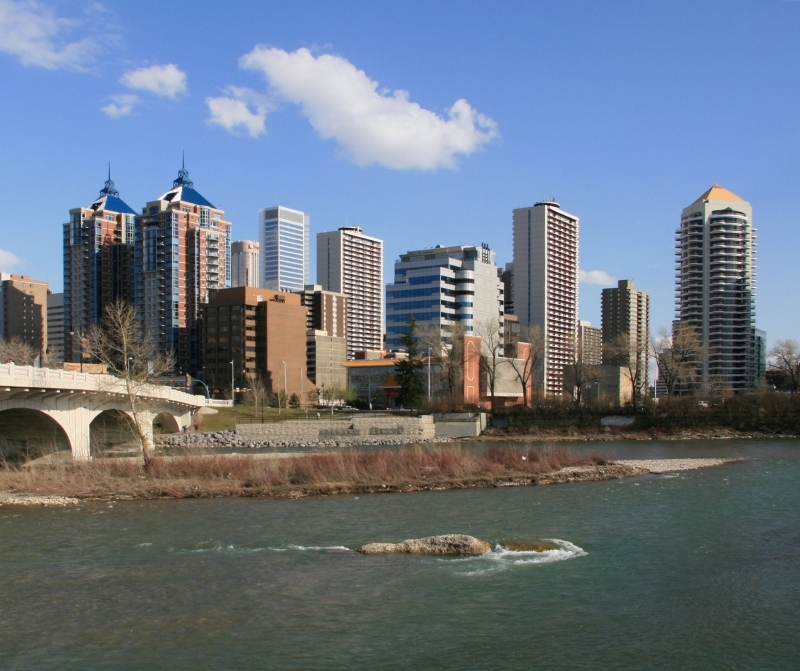 Calgary (IATA: YYC, ICAO: CYYC) Home of the world famous Calgary Stampede, one of the largest rodeos in the world, this city that was borne from a small railway and cattle town has grown to one of the largest centers of commerce in Western Canada. It is also the gateway to the eastern Canadian Rockies, providing access to resorts like Banff, Mt. Norquay, Lake Louise and its famous chalet and glacier, as well as all points east and west on the Trans-Canadian Highway. Edmonton (IATA: YEG, ICAO: CYEG) The Capitol of the province of Alberta, Edmonton is a favorite destination of Desert Jet clients. The lesser known of the two largest cities in Alberta, Edmonton is very business friendly city. In 2010, the city repealed their local business tax, replacing it with a non-resident property tax. There is a vibrant arts and music scene and they are striving to “go green”. Until 2004, Edmonton boasted the largest mall in North America. Edmonton is only 3 hours away from your winter home in the Palm Springs area on one of Desert Jet’s private charter Citations. Winnipeg (IATA: YWG, ICAO: CYWG) Winnipeg is a Cree Indian word that translates to “Muddy Water”. First settled in 1738 by French trappers, Winnipeg lies at the confluence of the Assiniboine and the Red River of the North, a location currently known as “The Forks”. Winnipeg is the 7th largest city in Canada and the capitol of the province of Manitoba. With a vibrant arts and music scene that includes a Symphony Orchestra, an Opera and Ballet Company, Jazz and Folk Music Festivals, not to mention professional and collegiate sports, there is plenty to do! Winnipeg has a diversified economy, with sectors in finance, manufacturing, food and beverage production, culture, retail and tourism. Easily within the non-stop range of Desert Jet’s Citation Encore, Winnipeg is a frequent destination for our clients. Why Fly with Desert Jet? Desert Jet is a certificated air carrier in both the United States and in Canada – not many operators have this dual authority. Since we are based in the U.S., your dollar will stretch much further by utilizing us rather than a charter operator based in Canada. Call us to learn more at (760) 399-1000.